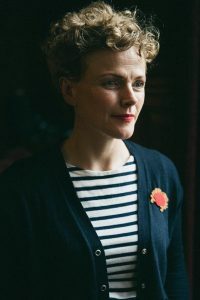 Northern Soul Maxine Peake: "I am proud of being Northern"
When I was first starting out as a journalist, all fresh-faced, keen and not unlike an eager puppy desperate to please, an experienced hack gave me some invaluable advice. “When writing up an interview, start with the most interesting thing the person said.” It was a sage piece of guidance, and one that has stood me in good stead. 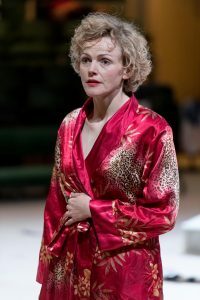 So I was going to kick off this article about Maxine Peake with her thoughts on Blanche DuBois, the fragile Southern belle she is shortly to play at Manchester’s Royal Exchange. Or possibly her irritation at being continuously labelled as a “Northern actress”. Then, as I was finishing off my background reading on Peake, I discovered that when she was at RADA, Peake dubbed a girl in her year “Polly Posh Pants”. Oh, and her favourite snack is a Warburton’s crumpet. Well, you see my dilemma. 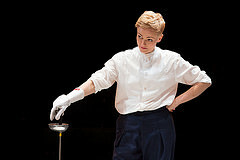 That’s the thing with Peake, though, there’s loads to say about her. From her launch into the big time on Victoria Wood’s Dinnerladies to her acclaimed portrayal of the Dane in the Exchange’s production of Hamlet in 2014, this Bolton actress has a CV as long as your arm. What’s less well known, perhaps, is her involvement in Manchester culture and community. Most recently, she was appointed patron of Manchester Histories, a small charity with a commitment to telling the stories of ordinary people. Shortly into my chat with Peake, I can tell this is right up her street. “I get asked to be a patron a lot, especially because I’ve moved back up North,” she tells me. “It’s fantastic, I’m not complaining but you don’t want to attach yourself to too many things because then you can’t fulfil your role. A lot of the time I live out of bags. I pack a bag up and I can be at the other end of the country for three or four months and sometimes it’s difficult explaining to people that I’m really sorry I can’t make it because I’m not around, you know. But I just thought this was really important. For me, I’m slightly obsessed with ‘we only move forward in society if we learn from our past’. It’s a mantra oft repeated in the North, particularly in former Industrial Revolution hot-spots like Manchester, Liverpool and Leeds, all seeking to reinvent themselves as international destinations without losing their essential characters. For Peake, I get the impression that much of the connection to the past comes from her work with Salford’s Working Class Movement Library. It’s how she became involved with the Manchester Histories Festival but it dates back much earlier than that. “I used to be a member of the Communist Party,” she says. “I was in the Salford branch which used to meet in the annex [of the WCML] and Eddie and Ruth Frow were both members. There was only a small group of us and that was when I was 18. I was from Bolton originally so I used to come over to Salford. And then I went off to drama school in London and got distracted and sort of left the Party. It’s refreshing to hear someone so much in the public eye express herself with such humility. But I think she sells herself short. While the glossy magazines and national newspapers focus on Peake’s high profile roles and, let’s face it, her ‘Northernness’ (yes, that is a real word), there’s a lot more going on behind the scenes, not least her charity work in Manchester. “I know very little about homelessness but I’ve become a patron of Lifeshare which is a small charity up in Manchester’s Northern Quarter. It looks after youngsters aged between 16 and 25 who seem to be passed over by the other agencies because either they’ve got got mental health issues or they find life difficult or they are slightly more challenging. Although I went into the office when some of the youngsters were in and they were extraordinary, particularly when you think what they go through. Bright, brilliant youngsters and you think, crikey, it’s amazing how life can take those turns. “One young man I spoke to said that his friend had let him stay in his flat for a bit but then, before he knew it, he was back on the street. He said it was a way of life. He knew that he needed help but there’s not that support structure. Peake lived in London for 11 years before returning to her Northern home (she lives in Salford). She is only too aware of the rise in homelessness on North West streets. For all the talk of Manchester’s ‘cultural renaissance’, not much has changed for the dispossessed and the overlooked. So, Peake tries to help people. It’s to be applauded. And, despite her time at RADA and subsequent rise to fame, Peake wasn’t born with a silver spoon in her mouth. The daughter of a lorry driver and a part-time care worker, her parents divorced when she was nine and, six years later, when her mother moved in with a boyfriend, Peake stayed with her grandfather so that she could continue studying for her GCSEs at the local school. Now 42, she tried numerous times to secure a place at drama school. She was 21 when she got into RADA on a scholarship. Since then, she has appeared across our screens and stages in, among other things, Channel 4’s hit drama Shameless and the BBC legal series Silk. 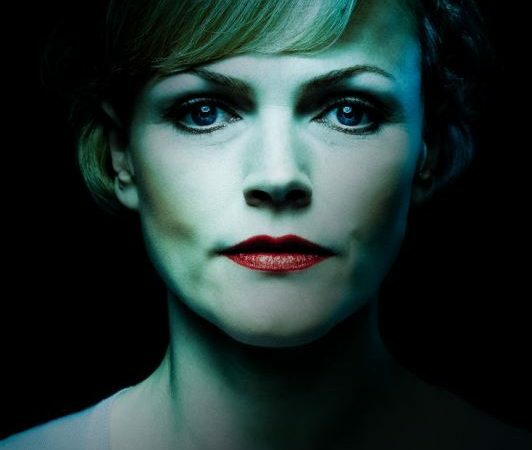 She has also played the Moors murderer Myra Hindley in 2006’s chilling See No Evil and has had parts in The Red Riding trilogy, Criminal Justice and The Village. One of the best known anecdotes about Peake relates to a salient piece of advice given to her by the late Victoria Wood (herself a Northerner, born and brought up in Bury). “You’re fat, you’re blonde and you’re Northern, you’ll get typecast,” Wood reportedly said. Peake took the advice to heart, losing so much weight between successive series of Dinnerladies that she had to wear a fat suit when she reprised her role as kitchen assistant Twinkle. After Wood’s death from cancer earlier this year, there were calls to rename Manchester’s Victoria Station as Victoria Wood Station (an excellent idea). In June, a tribute to the much-loved comedian was held on the concourse with hundreds attending, many of them dressed as Wood’s iconic creations. Manchester likes to honour its own, not least at the annual Manchester Theatre Awards. Peake has been nominated multiple times and not solely for her acting. In the same year she was up for best actress for her role as a demonic fairy in The Skriker at the Royal Exchange (part of the Manchester International Festival), she was also nominated for best new play for writing Beryl, about cycling champion Beryl Burton. Nevertheless, Peake has a word of criticism for the awards. 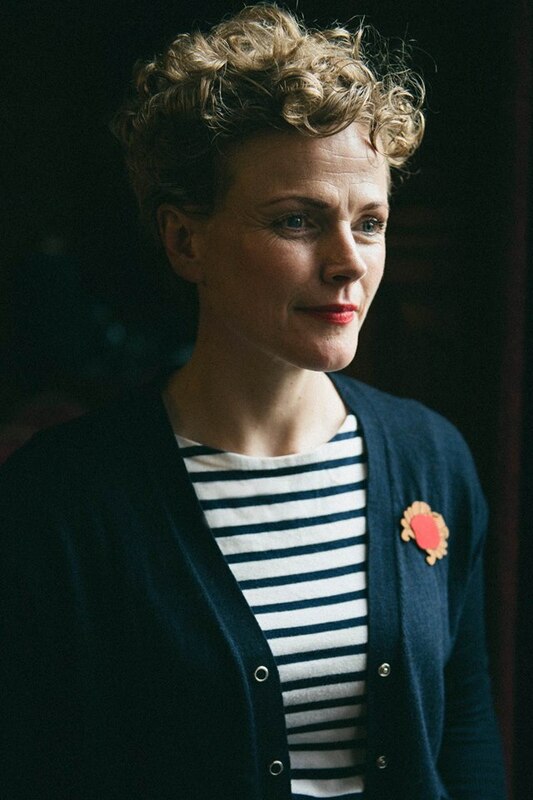 “The Manchester Theatre Awards always overlook Sarah [Frankcom, artistic director of the Royal Exchange, with whom Peake has worked a number of times]. She’s never been nominated I don’t think for best director. Everyone keeps saying that HOME [Manchester’s new arts centre] has arrived. HOME is great, a fantastic space, but Sarah was making those strides before HOME arrived. So, what does Peake make of the part of Blanche Dubois? The national press travelled to Manchester in abundance when Peake took on the role of Hamlet two years ago, lauding her performance as ‘delicately ferocious’ and ‘stunningly good’. I went early in the run and remember seeing Peake’s hand trembling as she reached for a wine glass. She later said that the production left her physically and emotionally drained. It’s one of Shakespeare’s most demanding roles so that’s hardly surprising. When the film version was released, Northern Soul applauded Peake’s ‘fierce and textured Hamlet, full of anger, indignation, purpose’. I wonder, though, if A Streetcar Named Desire will garner such interest from the capital. Peake’s profile ensures interest from critics – and her co-star Ben Batt who is playing Stanley is a familiar TV face and respected actor – but, let’s face it, national journalists loathe leaving London. I know because I used to be one of them. 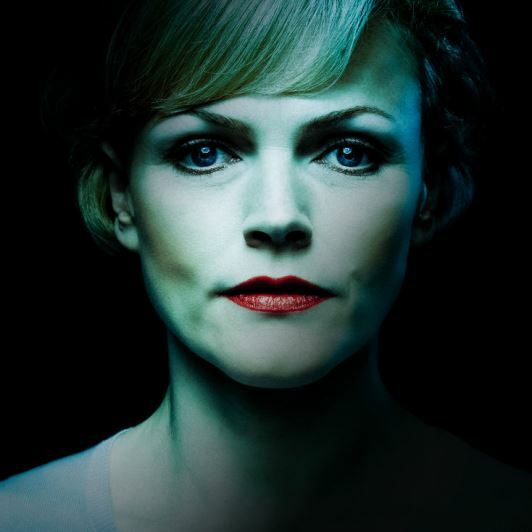 A Streetcar Named Desire is at Manchester’s Royal Exchange from September 8 until October 15, 2016. For more information, click here.